Do you like to save money, and are you the kind of shopper who is constantly looking for value at every turn? We understand that sentiment entirely, and that’s exactly how our used Toyota dealership is set up. We stock only the best used cars in Athens, and we carefully look over each car before it hits our lots. We wouldn’t want to send you home with a defective vehicle, and we want you to find the car you’re going to drive more years, if not decades. The prices you’ll see on cars this good are unbeatable, and we have a huge selection of compact cars, sedans, crossovers, SUVs, pickup trucks, and minivans. You can also sign up for financing at our used car dealership, and if you need service and parts in the future, we have you covered with Toyota certified products and technicians. We take pride in the quality of the vehicles and services we offer, and we would love to show you in person. Stop by our dealership or give us a call; we would love to meet you and sign you up for a test drive. Searching for “Used Cars for Sale Near Me”? Our dealership is easily accessible via route 10 or highway 78 in Athens, and if you live in the surround areas, we’re only a short drive away. Once you are here (if you are getting your car serviced), we have shuttle services that can take you anywhere in Athens, completely for free. 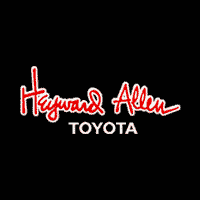 It’s just one more way that we maximize the value you receive at Heyward Allen Toyota. If you are looking for a quick, sporty compact car that is fun to drive but won’t cost an arm and a leg at the gas pump, you’ve come to the right dealership. Stop by and keep your eyes open for a used Toyota Corolla — we have late models and older models, and whichever Corolla you choose will be packed with performance and value. Toyota’s reputation speaks for itself, and you can rest assured that your used Corolla will run efficiently for years. Check our inventory for a used Toyota Yaris as well; it’s fun to drive, compact, and incredibly affordable. Two of the most well-known sedans on the planet are Toyota vehicles, and if you haven’t taken one of them on a test drive, you are missing out. The Toyota Camry has long been one of the best-selling sedans in America; it only gets better year after year. That said, when you buy a used Toyota Camry, it will hardly feel like you’re buying a used car! It’s design and performance are always ahead of its time, and the interior comfort and refined elegance are unmatched. The Toyota Avalon has all of the features of the Camry, but it a larger, more luxurious package. Drive in style and comfort when you invest in a used Avalon, and love every second of your daily commute. Our used car inventory includes Toyota SUVs for sale in Athens, Georgia, and if you are in the market for a sport utility vehicle, there’s never been a better time to buy. Toyota’s lineup of SUVs can rival that of any brand, and whether you need a small SUV for personal use, a mid-sized SUV for your family lifestyle, or a large, powerful SUV that can drive in difficult terrain, we have you covered. Test drive a used Rav4 — they are efficient, sporty, and come in many different configurations. Better yet, the used models still look incredible, and you know they will drive for years. For a slightly larger option, try the Highlander — a used Highlander provides a comfortable mode of transportation for the whole family, and yes, it comes available in 4×4. The Toyota Land Cruiser packs incredible luxury features into a rugged SUVs frame, so whether you are going on a road trip or going off-road, you’ll have an incredible driving experience in a used Toyota Land Cruiser. Of course, for the ultimate in SUV luxury, keep your eyes open for a used Toyota Sequoia. If you’re ready for a test drive at our used car dealership in Athens, GA, get in touch! Our used SUVs sell quickly, so don’t miss out on your favorite trims and models. It’s hard to find a better value on the market than a used Toyota Tundra or Tacoma, and we almost always have both on our used car lots. Stop by for a test drive — the Tacoma is an incredibly popular pickup truck, and they don’t last long. Choose from crew cab and standard cab configurations, and look for rugged features like 4×4 capability. The Tundra is among the best trucks in the full-size category, and while its towing capabilities and horsepower speak for themselves, you will love this truck if you take it on a test drive. If you’ve identified the right used car for your budget or lifestyle, it’s time to consider a used car loan. We’ve made it easier than ever to get qualified; all you have to do is fill out a simple online application. Once you’re approved for a certain line of credit, you’re ready to buy! Stronger applications can qualify for more credit, lower APR, and other incentives, so don’t wait to get started. Even if you don’t think you have a good application, we still want to hear from you — we help everyone find the used Toyota they need. Why Should You Choose Our Used Car Dealership? We put your needs ahead of everything else at Heyward Allen Toyota, and that’s why you’ll see such a friendly team, welcoming pet-friendly waiting room complete with snacks and wifi, and a tremendous collection of cars when you visit us. We’ve also been the highest-rated dealership in Athens according to Google Reviews and DealerRater — call us today.